Okay, we admit that it’s gross, but bacteria is the cause of smelly feet. Your hoofs have over 250,000 sweat glands and keeping them fresh is a challenge. Odor happens when bacteria is able to grow in the damp, humid insides of your shoes. Suggestions: Wearing natural fiber socks help to absorb extra moisture while working to keep the bacteria that grows in your shoes under control. You can also try using spray or wearing charcoal activated insoles. At night, it’s important to taking off your shoes and let your feet breathe. Putting stress on your feet causes the skin to stretch, but when your skin gets too dry, instead of stretching, it can split or crack. Because the skin on your feet tends to be thicker, we recommend a thicker cream to moisturize and repair damaged heels. Try Heeltastic Intensive Heel Therapy with natural Neem and Karanja oils. If things get out of control, see a dermatologist for an Rx strength lotion. Staying ahead of the game is the key. Be nice to your feet, and they will be nice to you ! Our top 3 tips: Regularly apply a foot cream for hydration, wear shoes that fit properly, and address trouble spots before they become “foot emergencies”. If you’re still looking for that extra something, try washing your feet in purified water. Sometimes the minerals in hard water make it difficult for your feet to stay soft. For days when a foot massage is not on the calendar, soaking in warm water with an effervescent foot table or with natural oils, can do wonders. Soak for no more than 10 minutes, you don’t want wrinkly feet! Exfoliating is also highly recommended. 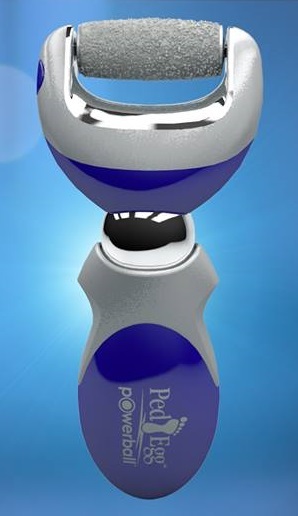 A pumice stone works when your feet are wet, and you can gently remove surface dead skin with any of our PedEgg Power Soothing Rollers. Hardened, callused skin occurs when pressure points on the foot get repeated stress and rubbing. Overuse and poorly fitting shoes often make things worse, so addressing the root cause is a good start. PedEgg Power and PedEgg Powerball are 2 great options for addressing problem areas where calluses have built up over time. Be sure to resist going too far, stay away from razors which can cut skin and lead to infection.